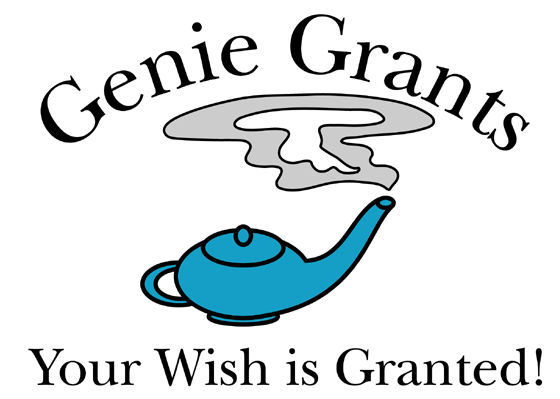 GenieGrants – Your Wish is Granted! Great ideas need great fundraisers! With a skilled grant writer on your team, your organization can continue to grow in scale and impact. Genie Grants can help you access government, private, and corporate funds. We will match you with foundations that share your goals and write professional proposals that demonstrate your best assets. With over 12 years of grant writing experience and over $14 million in grants funded, we can help your organization get the funding it needs to do its best work. At Genie Grants, we know what a challenge it can be to juggle the many responsibilities of running an organization and still meet that proposal deadline in time. Let us take that weight off your shoulders and make sure you don’t miss any more opportunities. Copyright © 2019 GenieGrants. Powered by WordPress and Stargazer.